Free shipping on Scivation Xtend Go! Support Muscle Growth, Energy & Focus! Designed for intra-workout consumption, but highly functional both before and after training, Scivation XTEND GO is the go-to supplement to promote focus and energy while concurrently supplying hypercritical branched-chain amino acids for muscle growth support and recovery. 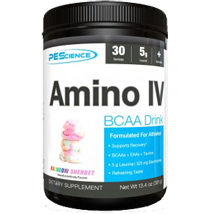 Scivation XTEND GO contains 7g of BCAAs ? in the nature-designed and widely-researched 2:1:1 ratio ? along with Glutamine and Citrulline Malate. Plus, with hydration-promoting electrolytes, Scivation XTEND GO is the delicious, refreshing, sugar-free way to help anyone grind through a tough morning, a brutal workday, or a grueling gym session. Use Scivation XTEND GO to squeeze the most out of your next workout and the most out of everything you do. Never stop. GO! Other Ingredients: Natural and artificial flavors, citric acid, sucralose, acesulfame potassium, fd&c red #40 lake, gum arabic, fd&c blue #1 lake..